Microsoft has delivered an update to Office 365 that lets users send mail attachments that are six times larger than before. Being able to send mail attachments of just 25MB per message is a thing of the past and administrators can now set limits of up to 150MB on attachments for Office 365 users. The default mail attachment will remain at 25MB unless the administrator changes it and Microsoft has made the decision not to alter this due to the fact that many users will still want to keep limits at a low level. "It turns out that some folks want an even smaller setting than 25 MB and many don't want to change the current setting at all. So instead of us foisting a one-size-fits-all setting onto everyone, we're now giving Office 365 customers the freedom to choose the maximum size setting that's right for them," explained Kevin Shaughnessy, Senior Program Manager for the Office 365 team, in a blog post. 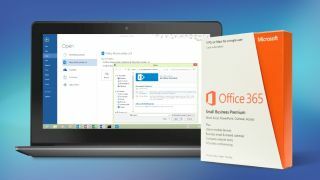 Office 365 gaining this privilege won't change much for users of the Outlook Web App in Office 365 as they can "attach" a document using OneDrive that is much larger and the user at the other end can download it from the cloud. Any administrators looking to increase the size of the maximum attachment can do so using their global administrator privileges in the Exchange Admin Center, navigate to the recipients and click the "…" icon before selecting "Set default message size restrictions."